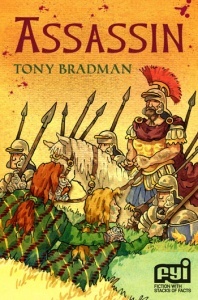 An excellent read for anyone studying the Romans. Owen is anxious to prove himself to the men of his tribe. The perfect opportunity arises when he sees the Roman Army advancing on his village and comes with a plan - to murder the Emperor Hadrian. But hunting wolves and hunting people are very different things. Barrington Stoke books are commissioned, edited and designed to break down the barriers that can stop children from learning to love reading, from dyslexia and visual stress to simple reluctance.